Mazes are not that scary as people talk about them. 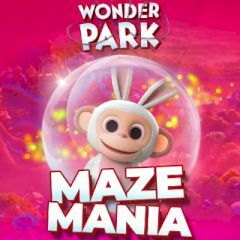 Wonder Park will prove it to you by presenting this amazing game. Here all you have to do is collect tokens and find a magic portal. Everything gives points, so you won't be in a loss. However, rapid portal entrance gives more points, than collecting all tokens around. Go search and find it!